6.30pm: Nestle Charity Ball - The Venue, Bowers Mill, Barkisland Mayor and Consort. 7.15pm: SSAFA West Yorkshire – Band Concert to commemorate the 90th Birthday of Her Majesty The Queen – St Peter’s Parish Church, Huddersfield - Deputy Mayor and Deputy Mayoress. 10.30am: Mayor of Calderdale’s Civic Service – Halifax Minster – Mayor and Consort, Deputy Mayor and Deputy Mayoress. 6.30pm: NSPCC Let’s Dance Event – Square Chapel, Halifax – Mayor and Consort. 7.30pm: Halifax Civic Trust – Annual General Meeting – Town Hall, Halifax – Mayor and Consort. 7pm: Southowram Tuesday Club – New Street Centre, Southowram. Mayor to attend the meeting. 10am: Mayor to visit Heatherstones Court, Queensgate, Halifax. 12.30pm: Crossley Heath School, Savile Park, Halifax – Amnesty Tea Party – Mayor and Consort. 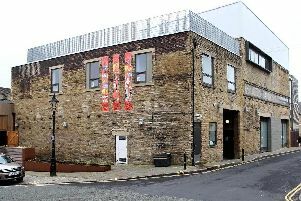 7.15pm: Kirkdale Industrial Training Services Ltd – Apprenticeship Annual Prize Presentation – Brighouse Civic Hall – Mayor and Consort. 10am: Home Instead Senior Care – Opening of new offices – 14-16 Southgate, Elland – Mayor to open – Mayor and Consort. 11am: Mayor and Consort to visit Eureka Street Party to celebrate the 90th Birthday of Her Majesty The Queen. 2.30pm: Inner Wheel Club of Halifax – Visitors from Sweden to visit Halifax Town Hall – Mayor and Consort. 6pm: The North Halifax Neighbourhood Awards 2016 – The Three Ways Centre, Ovenden – Mayor and Consort.